How much does a pallet cost? 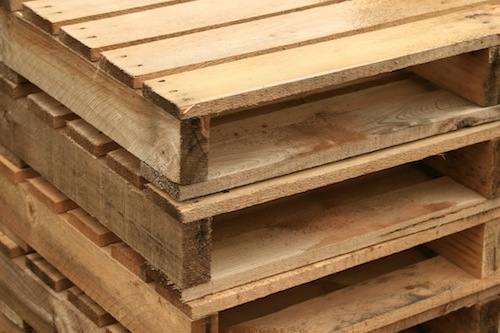 It’s true that pallet pricing relies on a number of external factors, the primary one being the cost of lumber, but there’s more to it than that. Internal practices affect the cost as well — you can’t always blame high costs of pallet usage on pricey lumber. Operational costs come into play when pallets are misused, causing extra time and money to be wasted on fixing problems with pallets or palletizers. And while many businesses don’t even realize these soft costs, they add up. Is your operating system a closed- or open-loop? When you ship products out, do you expect to see the pallets again? Closed-loop systems, like those used by grocery stores, spend more upfront on sturdy pallets and repair them every distribution cycle. Others might ship their products off to contractors who will just throw the pallets away. How much downtime is spent fixing your palletizer? Time spent fixing machinations or digging out pallets and finished goods from inside the machine itself is time that could be spent more productively. How do you stack your pallets? Stacking methods differ—some companies layer pallets one at a time, others stack them three-high. Depending on the weight of your package, you may need to adjust your pallet stacking and packaging techniques in order to best optimize your practices. Also ask yourself: do you share those optimized practices with your customers to ensure product quality? What are your product dimensions? Customized pallets work because they can fit whatever you want to load them with. If you buy a one-size-fits-all kind of pallet (say, 40×40), and it doesn’t match your load’s dimensions, the pallet can suffer from deflection and breakage. Pallets are mathematically calculated creations, engineered for a specific purpose. The price of a pallet depends on what you’re using it for and whether you expect to see it again. Buying the wrong pallet type just to save money up front can lead to bigger, more expensive problems later on. Your pallet provider can recommend the best solution for your needs that will save you time and money in the long run.